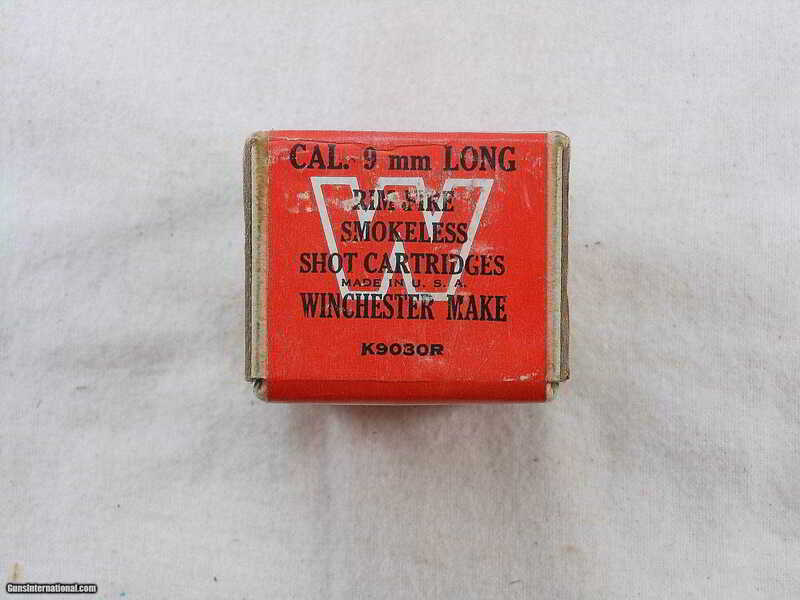 This is a full unopened box of 9 m/m rim fire shot shells. 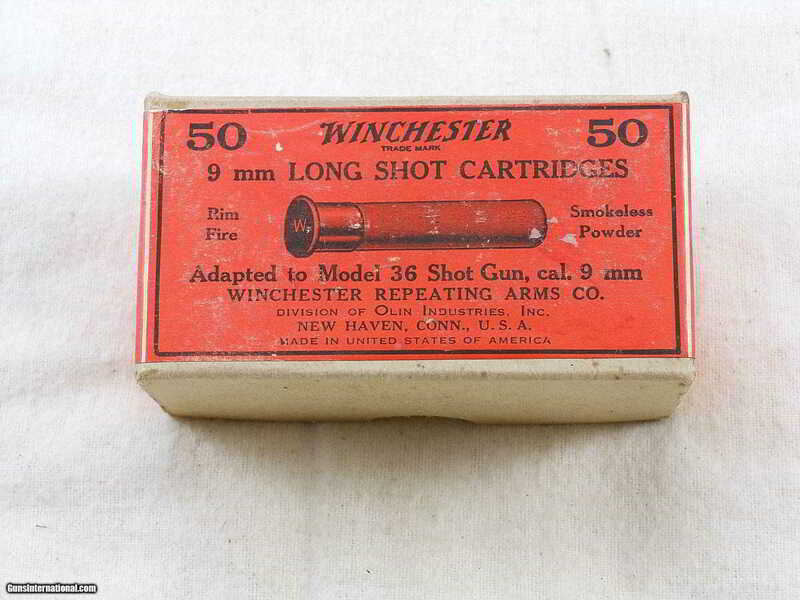 These were produced for the Winchester model 36 single shot shotgun.The red label is bright with no loss. 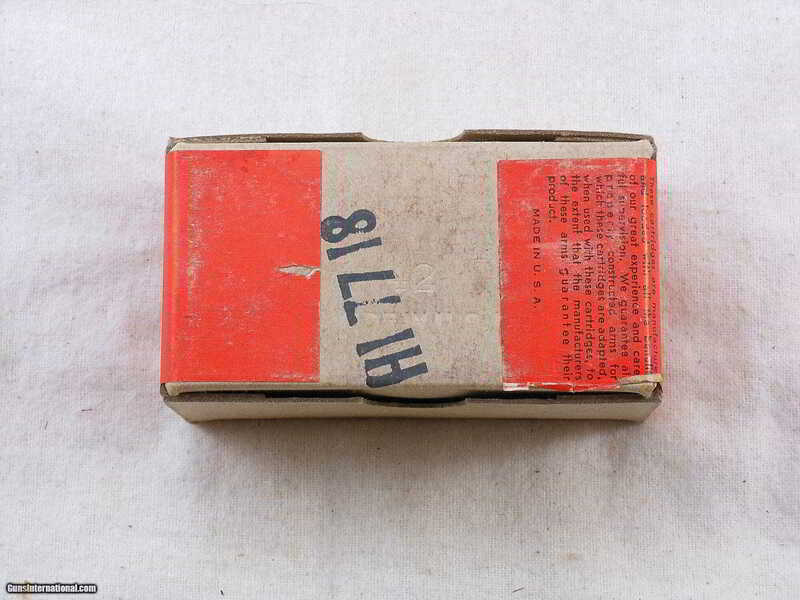 The end labels are also bright with no loss. The graphics are clear with the picture of the shell high lighted. The box is in near mint condition. These boxes are hard to find in this condition! Search for hlvfineguns on google.